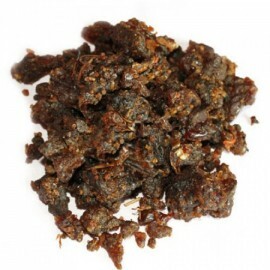 Natural dasang dhoop flakes for performing pooja. 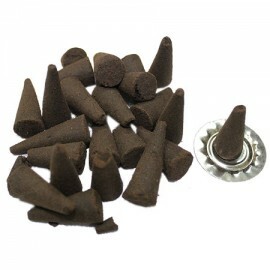 burn few dasang dhoop flakes and offer to deity, u..
Dhoop powder obtained from dhoop or Frankincense . It has long lasting combustion. 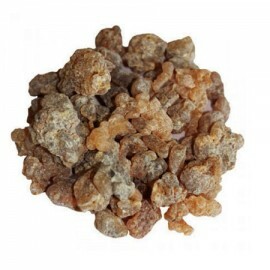 The smoke e..
frankincense in Ayurveda is called "dhoopan". 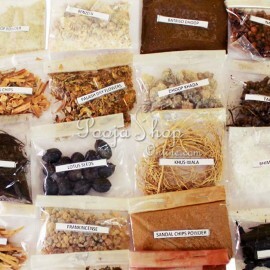 In Indian culture, it is suggested that burning franki..
Guggul Dhoop drive away evil spirits as well as remove the evil eye from the home and its family mem..
Set of 18 Ayur herbs used in Homa (Havan) namely: Palash Dry Flowers, Dasang Chips, Agar, .. 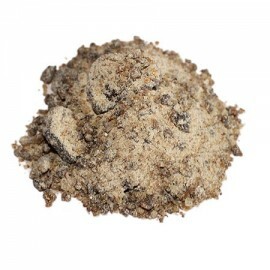 The Kasthuri powder is used for spreading fragrance & offered to deities du.. It is also called loban Dhoop. 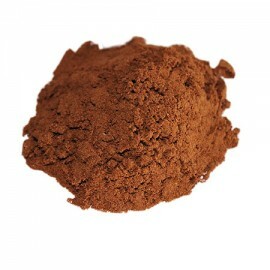 It is the finest energy purifier of atmosphere.Using loban dhoop..
Mysore Sandal dhoop spreads fragrance which mesmerise the sense and make surrounding pleas..
Panadio Rare Dhoop flakes for performing pooja and rituals burn few flakes and offer to deity.&.. 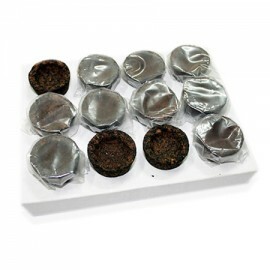 The practice of lighting Pooja Dhoop before a deity, goes back to the Vedic period. This practice in..